SPIRITUALITY SCIENCE – THE STATUS OF MAN IN NATURE: The Grasping ability of Hand can perform two functions; 1. The Power Grip, and 2. The Precision Grip. 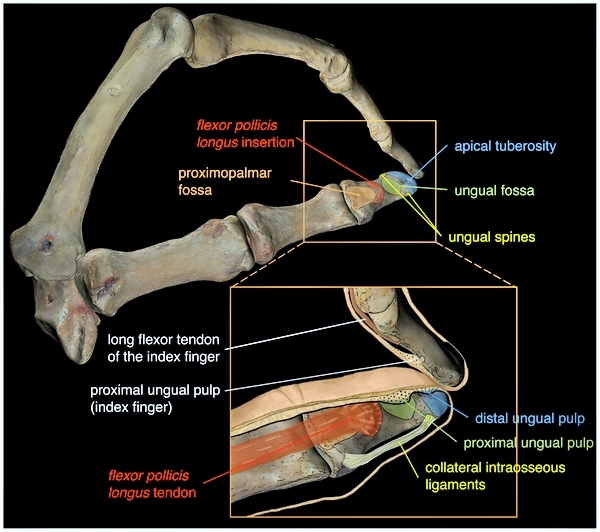 The image shows the anatomy of the distal phalanx and its relationship with soft structures that are related to refined manipulation of tools or objects held by the Grip. It can provide evidence to make the distinction between a human artist and a nonhuman artist. SPIRITUALITY SCIENCE – THE STATUS OF MAN IN NATURE: Human Hand has Grasping ability and it provides two kinds of Grip; 1. The Power Grip, and 2. The Precision Grip. Each human being can be identified as a specific Individual by gathering evidence from the use of the Precision Grip. The term ‘man’ has been loosely applied to describe a variety of animal species that belong to Family Hominidae. To understand the status of man in nature, it would be helpful to make the distinctions between the Paleolithic, Archaic, or Ancient Man and Modern Man. Since the term ‘Man’ may cause confusion, a distinction between ‘Man’ and ‘Human’ is all the more important. 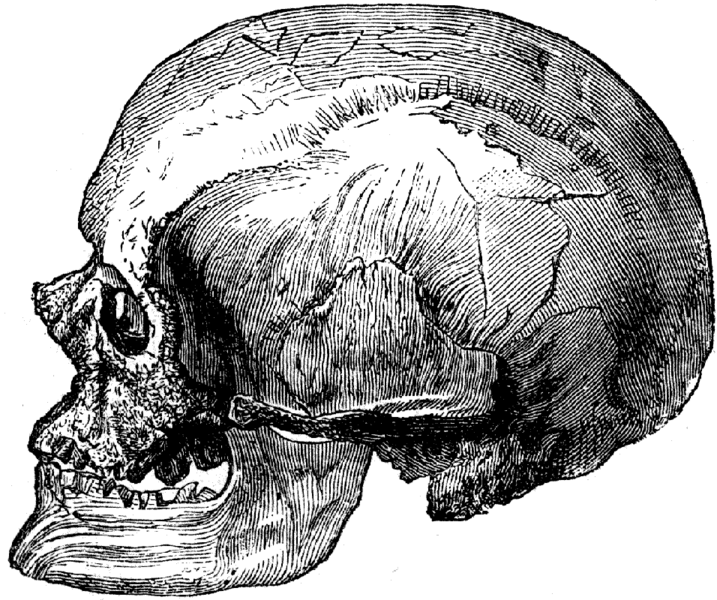 The Hominids belong to Class-Mammals, Order-Primates, Suborder – Anthropoidea, Superfamily – Hominoidea, Family – Hominidae, Subfamily – Homininae which includes the Genus-Homo and species such as sapiens, erectus, habilis, and etc., The members of Hominidae Family show a unique specialization of the lower limb, the pelvis and leg to provide support bipedal propulsion of the body in the erect position or vertical gait. 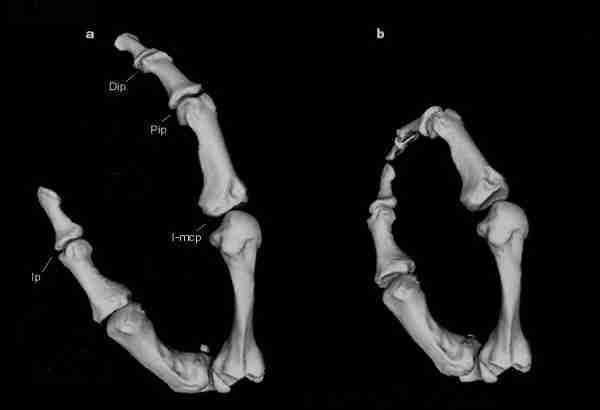 In Primates such as the apes and monkeys, the feet and toes have the characteristic called prehensility and the Hominids have lost that characteristic. The Hominids have a large and complicated brain, the visual sense is better developed with a corresponding reduction of the sense of smell. The hand with flattened nails and the true opposability of the thumb can perform two types of grasping function called, 1. The Power Grip and 2. The Precision Grip. The Hominid Family members have intensified mother-offspring relationship due to prolonged infant dependency. While the Hominid brain shows both qualitative and quantitative development, there are significant differences in the areas of the brain concerned with vision, muscular coordination, memory, learning, and communication. Hominids such as the Rhodesian Man and the Cro-Magnon Man had large skulls and their brains were larger as compared to that of Modern Man. The Hominid Family members share important skeletal features and similarities and yet the same time, the size and shape of the skull can be used to make distinctions between the various species. Similarly, while the skeletal features that contribute to the ability called ‘Precision Grip’ are common, in the use of this Grip each member demonstrates an originality with which the member can be identified as a specific Individual with Individuality. SPIRITUALITY SCIENCE – THE STATUS OF MAN IN NATURE: While the Modern Man(Homo sapiens sapiens) and Paleolithic Man( Homo sapiens neanderthalis) NEANDERTHAL have similar skeletal features that contribute to the functional ability called the ‘Precision Grip’, the distinction between the two can be easily made when they perform functions making use of that Grip. A human artist can be distinguished from a Neanderthal artist. The Cro-Magnon Man is often described as Prehistoric Man or Early Man who lived 40,000 to 35,000 years ago. The Cro-Magnon is not a species or subspecies and as such is included in the Homo sapiens sapiens species. However, there are some important differences between the two. The Cro-Magnon Man lived during European Upper Paleolithic Period and the fossil remains were discovered in 1868 in the big cave in Occitan, Southwestern France. During the Upper Paleolithic Period, there is evidence of communal hunting, man-made shelters, rock carvings and paintings and primitive belief systems like Magic and the Supernatural. The Cro-Magnon Man was about 6 feet(180 centimetres) tall, had a high forehead, short, wide face, prominent chin and a brain capacity of 1600 cubic centimetres, larger than the average for Modern Man which is about 1,350 cubic centimetres. He had used flint and bone tools and designed shell and ivory jewelery. SPIRITUALITY SCIENCE – THE STATUS OF MAN: THE CRO-MAGNON MAN IS DESCRIBED AS PREHISTORIC MAN. 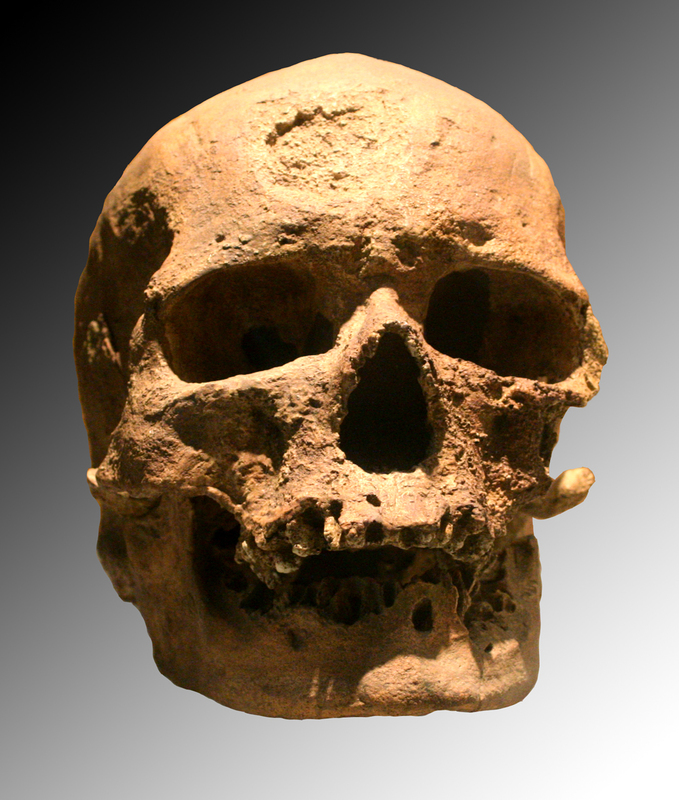 HIS SKULL IS LARGER AND LESS ROUNDED IN SHAPE AS COMPARED TO THE SKULL OF MODERN MAN. THE DISTINCTION BETWEEN MAN AND HUMAN CAN BE MADE USING THE EVIDENCE GENERATED BY THE USE OF THE PRECISION GRIP. SPIRITUALITY SCIENCE – THE STATUS OF MAN: THE CRO_MAGNON MAN IS DESCRIBED AS EARLY MAN AND HIS SKULL BONES COULD BE EASILY DISTINGUISHED FROM THOSE OF MODERN MAN. APART FROM THE SIZE AND SHAPE OF THE SKULL, THE DISTINCTION BETWEEN HUMAN BRAIN AND CRO-MAGNON’S BRAIN CAN BE MADE BY COMPARING THE ARTISTIC WORKS OF BOTH. SPIRITUALITY SCIENCE – THE STATUS OF MAN: THE SKULL OF MODERN MAN IS DIFFERENT IN ITS APPEARANCE AS COMPARED TO THE SKULL OF THE CRO-MAGNON MAN. THE SCIENCE OF FORENSIC ANTHROPOLOGY HELPS TO ESTABLISH THE IDENTITY OF THE HUMAN INDIVIDUAL WITH VERY HIGH SPECIFICITY USING SEVERAL IDENTIFICATION MARKINGS OF THE SKULL AND FACIAL BONES. The Cro-Magnon Man had perished and fortunately we have evidence in the form of Prehistoric Art which includes sophisticated polychrome paintings of exquisite design. 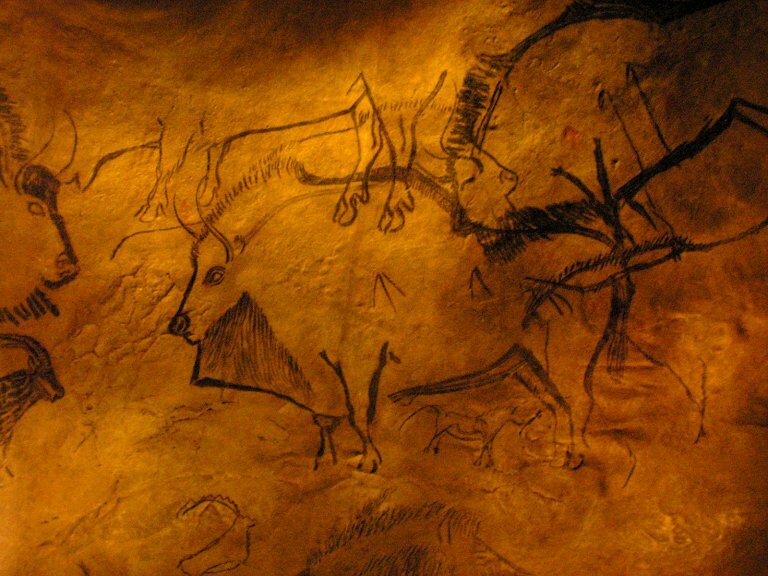 Magnificent cave paintings were discovered in Southwestern France and Northern Spain. SPIRITUALITY SCIENCE – THE STATUS OF MAN: THE EVIDENCE OF PRECISION GRIP. LASCAUX CAVE PAINTINGS. Belong to the Aurignacio-Perigordian Period, c. 14,000-c. 13,500 B.C. This artist has not provided sufficient evidence to know the artist as a ‘Human’ artist. The object depicted had existed in the physical environment that was experienced by the artist. SPIRITUALITY SCIENCE – THE STATUS OF MAN: THE EVIDENCE OF PRECISION GRIP. MURALS AT ROUFFIGNAC – THE SOLUTREO-MAGDALENIAN PERIOD, c. 14,000-c. 9500 B.C. THIS ARTIST WAS NOT A HUMAN ARTIST AS THE OBJECTS DESCRIBED COULD BE FOUND IN THE PHYSICAL ENVIRONMENT DIRECTLY EXPERIENCED BY THE ARTIST. SPIRITUALITY SCIENCE – THE STATUS OF MAN: THE EVIDENCE OF PRECISION GRIP. 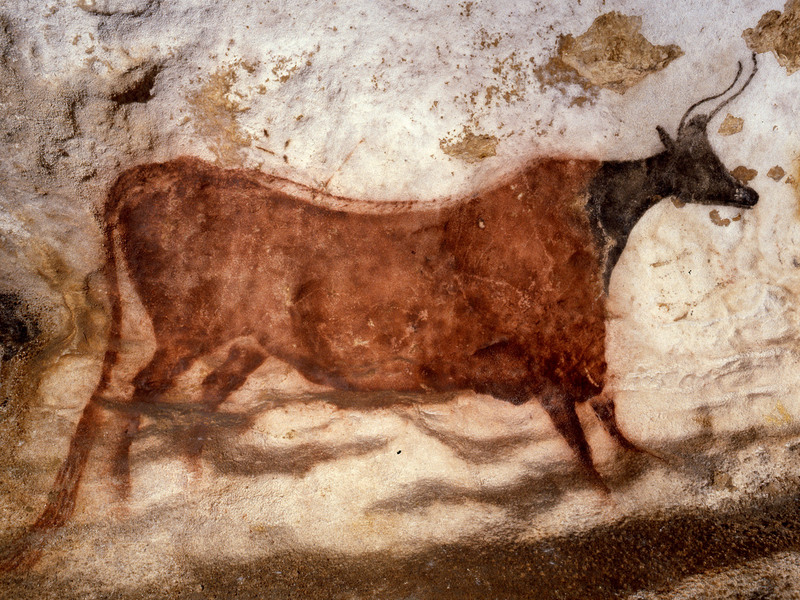 NIAUX CAVE PAINTINGS, c.14,000-c. 9500 B.C., THE SOLUTREO – MAGDALENIAN PERIOD. THIS ARTIST HAD NOT DEMONSTRATED THE POTENTIAL ABILITY TO MAKE A DRAWING OF AN OBJECT THAT WAS NOT DIRECTLY EXPERIENCED. THESE ANIMALS WERE FOUND IN THE NATURAL ENVIRONMENT EXPERIENCED BY THE ARTIST. SPIRITUALITY SCIENCE – THE STATUS OF MAN: THE EVIDENCE OF PRECISION GRIP. 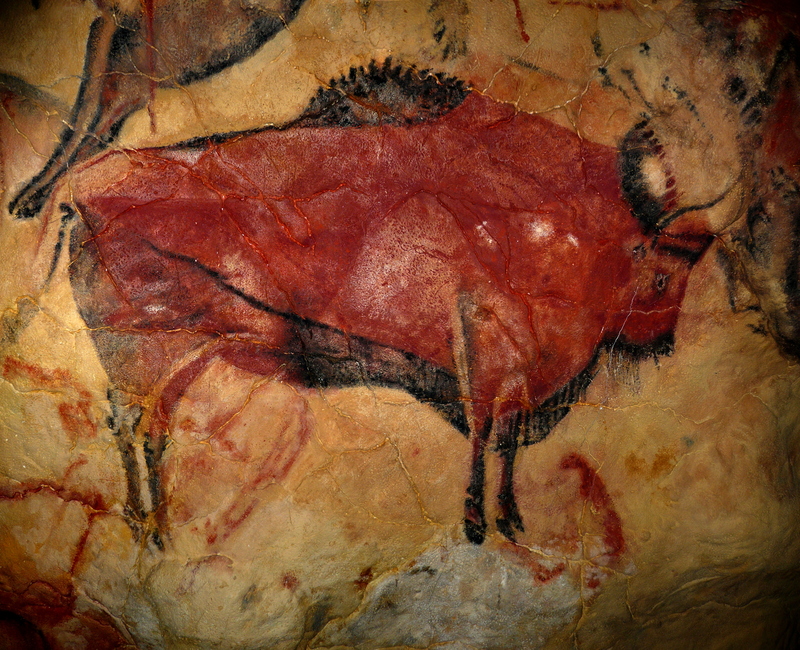 CAVE PAINTINGS OF ALTAMIRA, SPAIN, c. 14,000-c. 9500 B.C. 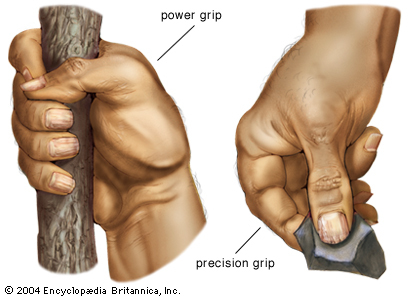 THE USE OF THE PRECISION GRIP IS DEMONSTRATED BY THIS ARTISTIC DRAWING. BUT, THE ARTIST WAS NOT A HUMAN ARTIST WHO HAS THE POTENTIAL ABILITY TO DESCRIBE OBJECTS FOR WHICH THERE COULD BE NO PHYSICAL BASIS. The painting of pictures on the walls of caves or on the rocks is a definitive evidence of the use of the Precision Grip and yet it does not constitute the evidence for the specific human ability and characteristic called Writing. The purpose of Writing is not simply about communication using written shapes or signs. It requires the development of specific areas of the brain that are associated with human speech. For example, Broca’s area produces verbs, builds sentences, and predicts what people are going to say. 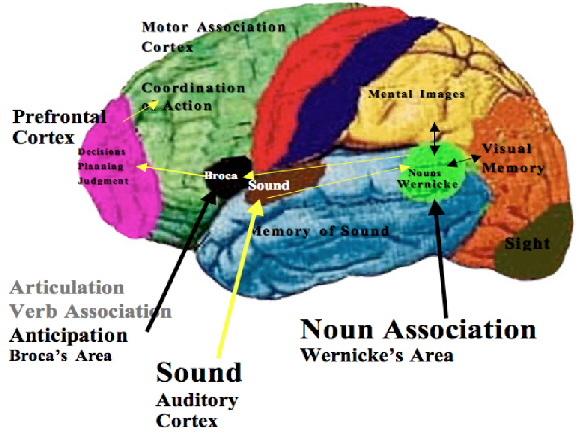 The brain area called Wernicke’s Area attaches meanings, images and feelings to sounds and to individual words. Human Speech and Writing has a spiritual attribute with which it can transcend the limitations set by natural boundaries and it extends across the barriers of Time when the thoughts of the dead and the living reach those as yet unborn. A Human Artist has the potential ability to draw and depict objects for which there could be no physical basis in the environment directly experienced by that Artist. SPIRITUALITY SCIENCE – THE STATUS OF MAN: THE EVIDENCE OF PRECISION GRIP CANNOT PROVIDE CONCLUSIVE EVIDENCE OF THE PURELY HUMAN ABILITY CALLED WRITING. THE CRO-MAGNON MAN HAD APPARENTLY NOT DEVELOPED THE SPECIAL AREAS OF THE BRAIN THAT ARE IMPORTANT FOR HUMAN SPEECH AND WRITING. THE CHIEF AMONG THE BRAIN AREAS OF SPEECH IS BROCA’S AREA – BRAIN’S SPEECH CENTER. 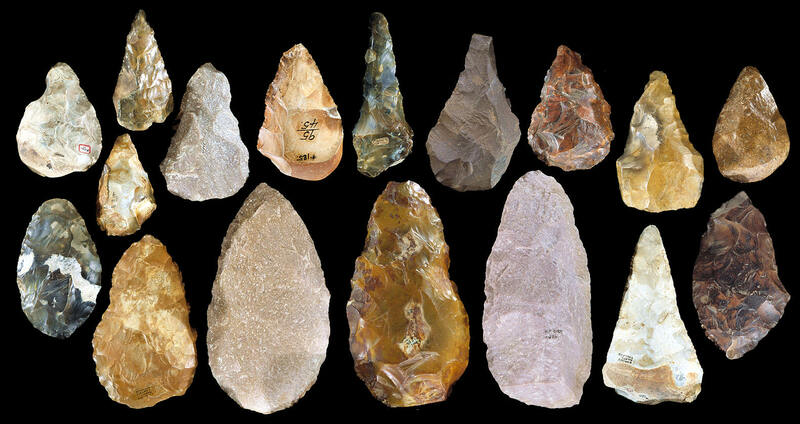 SPIRITUALITY SCIENCE – THE STATUS OF MAN: THE HANDAXES OF PALEOLITHIC PERIOD. HAND AX APPEARED ABOUT 700,000 YEARS AGO. THE USE OF AX DESCRIBES THE POWER GRIP, THE GRASPING ABILITY OF HAND. BOTH HUMANS AND THE PREHISTORIC MAN SHARE THIS CHARACTERISTIC GRASPING ABILITY. SPIRITUALITY SCIENCE – THE STATUS OF MAN: THE MESOLITHIC PERIOD(c. 10,000-c. 8000 B.C.) 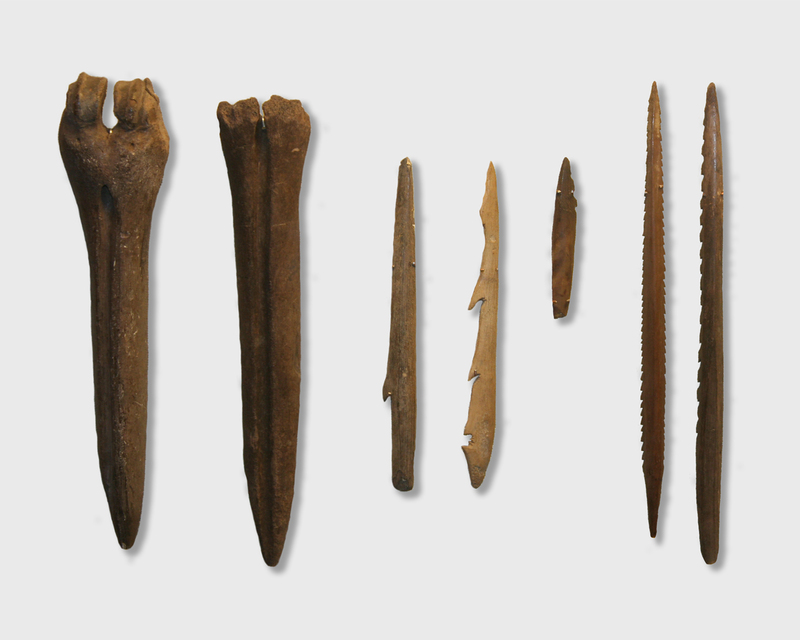 KUNDA TOOLS FOUND IN ESTONIA. THE TYPES OF TOOLS USED GENERALLY HELP US TO KNOW THE ABILITY CALLED DEXTERITY OR THE ABILITY TO MANIPULATE OBJECTS HELD BY THE HAND. SPIRITUALITY SCIENCE – THE STATUS OF MAN: THE NEOLITHIC PERIOD(c. 8000-c. 3500 B.C.) 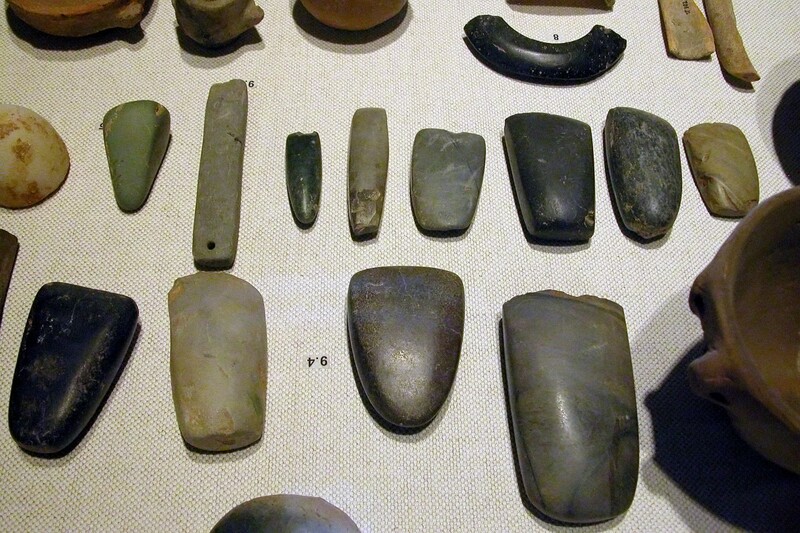 IS CHARACTERIZED BY POLISHED STONE TOOLS APART FROM POTTERY. THE EVIDENCE FOR A HUMAN ARTIST EMERGES FROM THE DESIGNING OR CRAFTING OF THE TOOLS. SPIRITUALITY SCIENCE – THE STATUS OF MAN: THE NEOLITHIC PERIOD SHOWS THE DEVELOPMENT AND SPREAD OF MODERN HUMAN CULTURE APART FROM THE INTRODUCTION OF A VARIETY OF TOOLS BEFORE THE BEGINNING OF BRONZE AGE(c.3500-1000 B.C.) ANIMALS CAN BE TRAINED TO USE TOOLS CRAFTED BY MAN. BUT A HUMAN ARTIST INVENTS TOOLS FOR A PURPOSE HE DISCOVERS USING THE POWER OF IMAGINATION. It is important to make the distinction between the Prehistoric Man and the Modern Man to determine the Status of Man in Nature. The evidence for the Modern Man’s arrival on planet Earth begins in the Mesolithic Period or the Middle Stone Age at the end of the last glacial era, about 10,000 years ago. 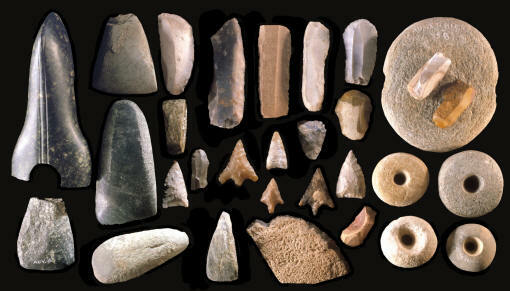 The Neolithic Period or the New Stone Age is the Old World Cultural Period(c. 8000-c. 3500 B.C.) which is characterized by polished stone tools, pottery, weaving, stock rearing, agriculture, megaliths like the Stonehenge and the first known human writing dates from 6000 B.C. SPIRITUALITY SCIENCE – THE STATUS OF MAN: THE EVIDENCE OF PRECISION GRIP. 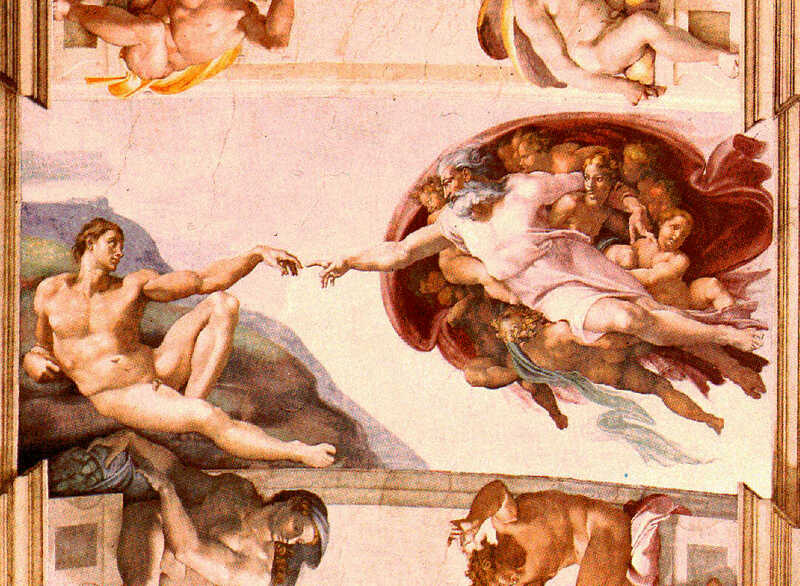 MICHELANGELO BUONARROTI(1475-1564), ITALIAN SCULPTOR AND PAINTER WORKED ON THE CEILING OF THE SISTINE CHAPEL FROM 1508 TO 1512 TO CREATE THIS VISION OF PRIMORDIAL HUMANITY FOR WHICH THERE IS NO PHYSICAL BASIS IN THE ENVIRONMENT OF HIS LIFETIME. THIS IS THE EVIDENCE FOR A HUMAN ARTIST. IT DEMONSTRATES THE USE OF PRECISION GRIP, THE HUMAN HAND THAT GRASPED THE PAINTING BRUSH THAT CAN DRAW OBJECTS WITHOUT DIRECT EXPERIENCE OF SUCH OBJECTS. Among animal species, only ‘Humans’ have the spiritual ability to communicate or describe things that may not exist in their immediate, physical environment. A Human Artist has the potential ability to write or depict objects for which there is no direct sensory experience. 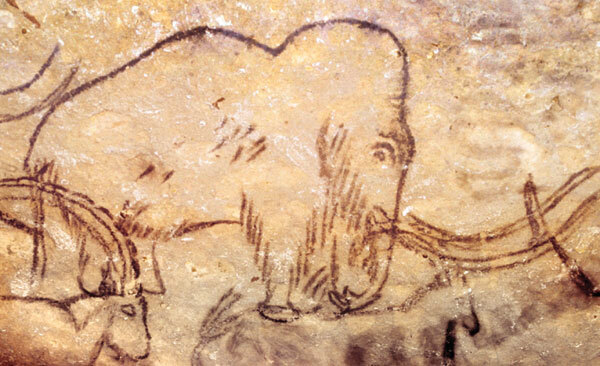 To make the distinction between the Prehistoric Man and the Modern Man, to discern the difference between Paleolithic Art and Human Art, I want to suggest that only a Human Artist has the potential, spiritual ability to draw and depict objects for which there could be no basis in the physical environment directly experienced by the Artist. To make the equation between Man and Human and to determine the Status of Man in Nature, the use of the Precision Grip provides decisive evidence.